The Deadpool 2 extended cut is coming our way this August. News recently broke that Fox is planning on showcasing an extended cut of Deadpool 2 during San Diego Comic-Con, leading many to speculate that the lengthier version of the sequel would be making its way to fans via the Blu-ray release later this year. 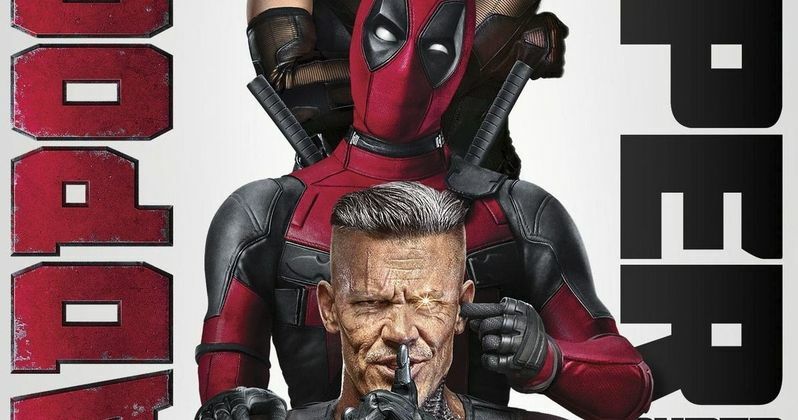 That has proved true as Fox has officially announced the release of Deadpool 2: The Super Duper Cut. Ryan Reynolds took to Twitter to make the announcement, sharing a brief teaser for the upcoming home video release of the movie. The video features the Celine Dion song Ashes, which was made for Deadpool 2 and is featured on the movie's soundtrack. We also get a glimpse of the cover art and teases of a "longer" and "actionier" version with The Super Duper Cut. Here's what Reynolds had to say about it. "Spandexier is totally a word. Ask anyone. Deadpool 2: The Super Duper Cut on Digital August 7 & Blu-ray August 21. #Deadpool2." Extended cuts are reasonably common but when it comes to something like Deadpool 2, which is one of the biggest hits of the year so far, having grossed $727 million worldwide, it's a larger-than-average deal. That's why Fox is going to give the movie such a large presence this year at San Diego Comic-Con, despite the fact that it has already mostly completed its theatrical run. A panel for Deadpool 2 is scheduled for Saturday, July 21 in the afternoon and a screening of The Super Duper Cut will take place later that day. The SDCC site also states "maybe some surprises" in store as well. It's anyone's guess what those surprises could be at this point. Further details regarding the home video release haven't yet been revealed. As per usual these days, the movie will hit digital retailers such as iTunes, Movies Anywhere and Amazon on August 7 a full two weeks before the physical Blu-ray/DVD release is made available on August 21. No further special features have been announced for the release, but it's likely there will be the usual making-of documentaries, trailers and commentary tracks that one can usually expect with such a release. We'll surely be treated to all of the details during the SDCC panel. Deadpool outperformed expectations on every level when it arrived in theaters in 2016. That put a lot of pressure on the sequel to deliver and, while it may not have surpassed its predecessor, Deadpool 2 is widely considered to be a very satisfying follow-up. The introduction of Josh Brolin as Cable, Zazie Beetz as Domino and plenty of surprises left a lot for fans to love. With The Super Duper Cut arriving next month, there's going to be even more to enjoy. The real question right now is, will this cut be an improvement over the theatrical cut or will it just be a bit lengthier? We'll know soon enough. You can check out the announcement video, courtesy of 20th Century Fox, for yourself below.